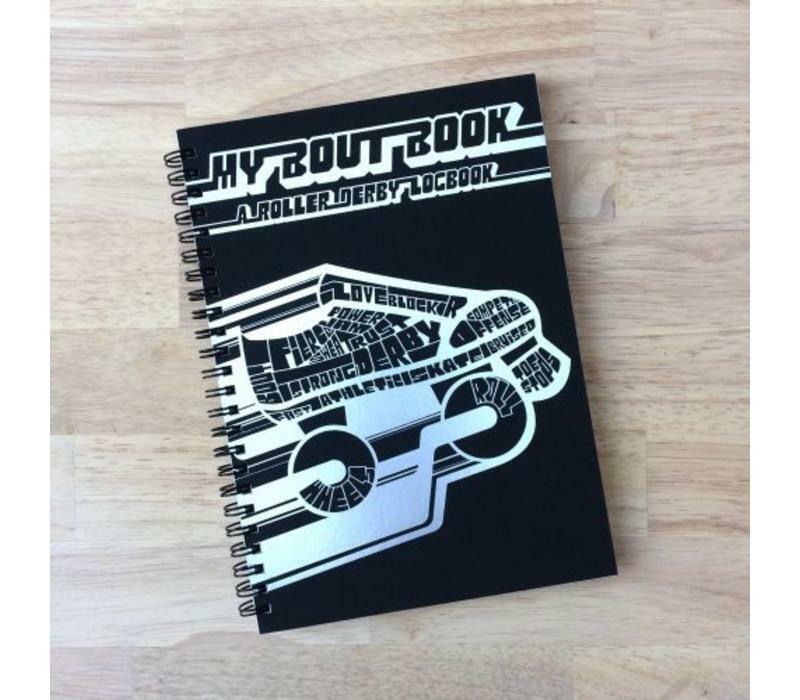 Logbooks are commonly used essential tools in many other sports like: scuba diving, skydiving and running – now derby has one too. 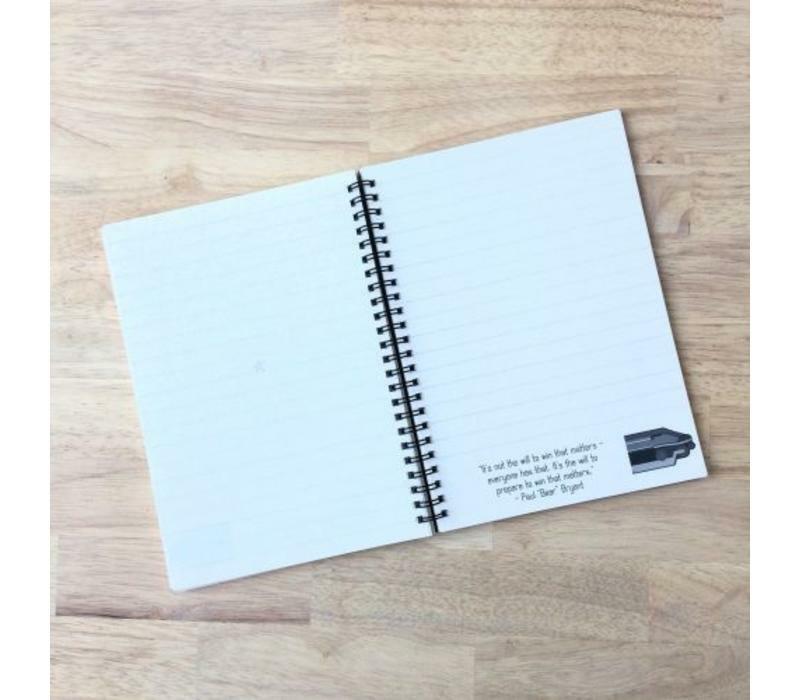 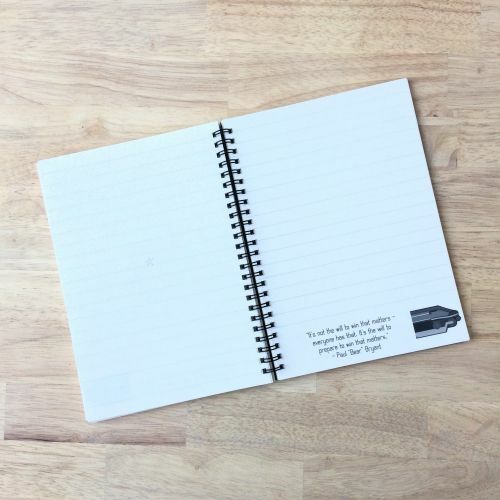 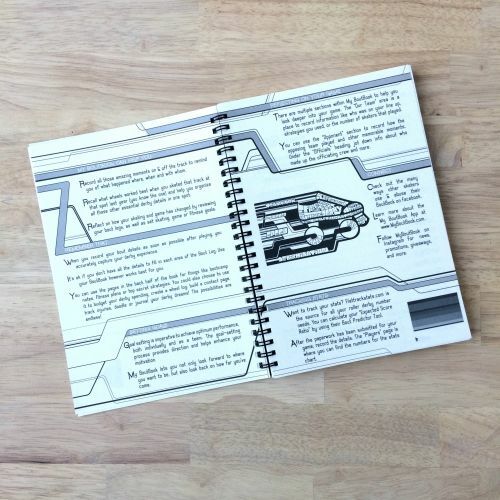 But… this is not your average logbook. 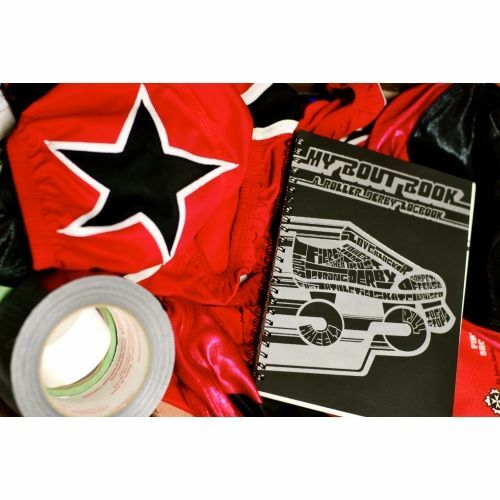 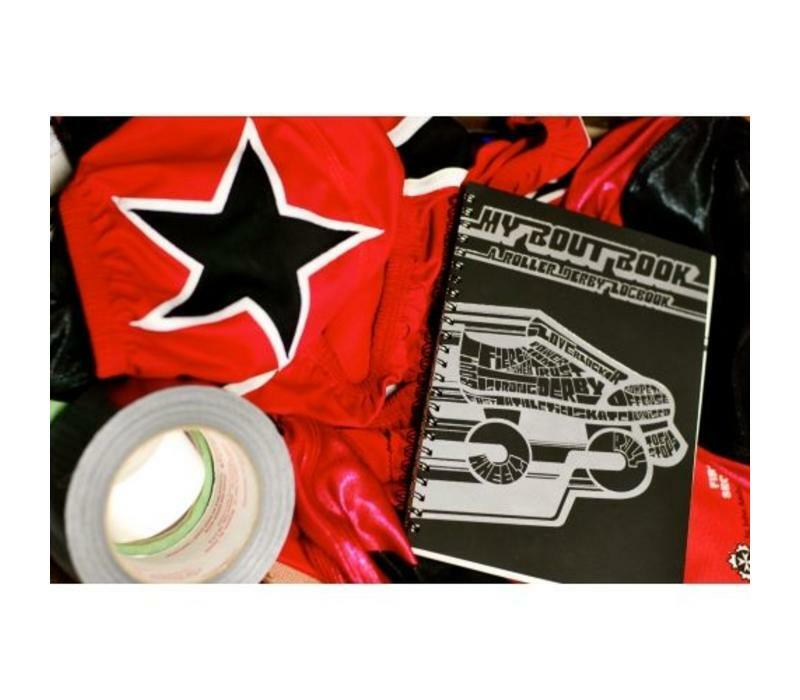 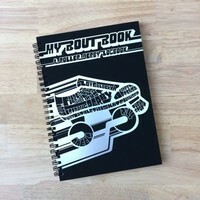 My BoutBook is the roller derby solution to tracking all the amazing things that happen on and off the track by helping you record, remember and reflect. 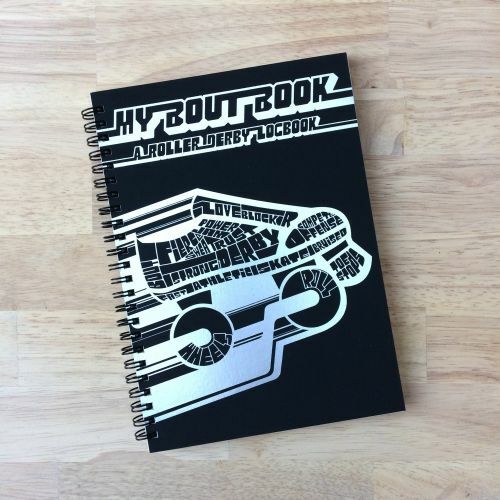 My BoutBook is a creative way for skaters to track and journal their derby experiences. This logbook is the first and only roller derby bout logbook made just for roller derby. 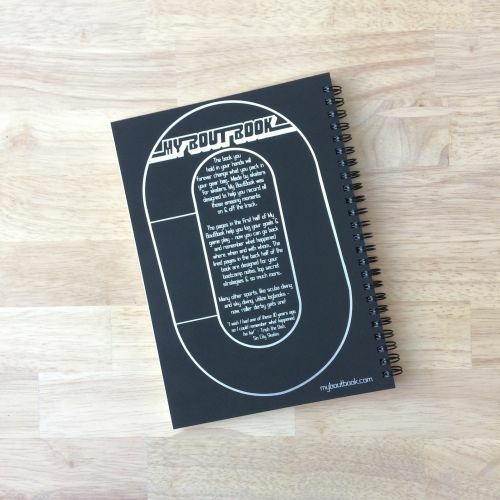 The bout log pages in the front of MyBoutBook help you track goals and game play – now you can go back and remember what happened where, when and with whom. 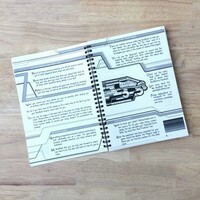 The lined pages in the back half of the book are designed for your bootcamp notes, top secret strategies and more. 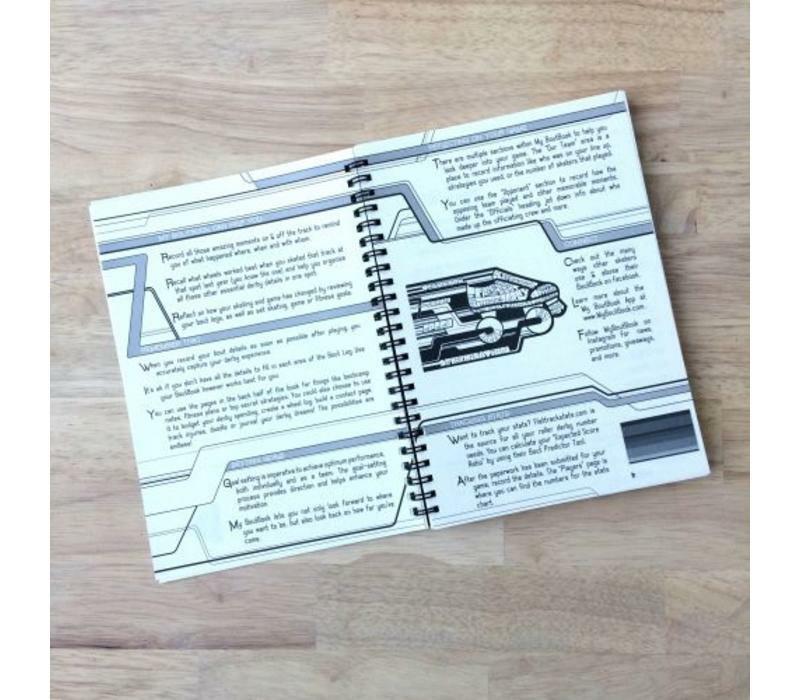 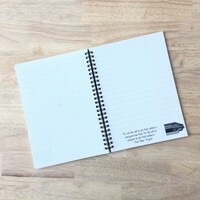 This 15.2×21.6 cm, 72-page, coil-bound notebook infused with the quintessential derby flavour that is unique, creative and expressive and includes cool additions like inspirational quotes on each page and a mini flip book.